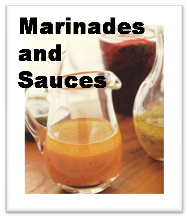 This can be used for dipping or in your favorite recipe, this is very quick, easy and tasty. This goes well with our Pineapple Sweet and Sour Chicken . 1. Mix all ingredients in a small sauce pan until cornstarch is dissolved. Heat to boiling, reduce heat and stir until thickened, about 3 to 5 minutes. Nutritional Notes: per 2 tablespoon serving size: calories 40; fat 0g; cholesterol 0mg; sodium 10mg; carbohydrates 11g; fiber 0g; protein 0g.